Author interviews are one of my favorite things to post which is why I am super excited to welcome author Kevin O'Connell to Flashlight Commentary to discuss his latest release, Two Journeys Home: A Novel of Eighteenth Century Europe. Welcome to Flashlight Commentary Kevin. It’s a pleasure to have you with us. 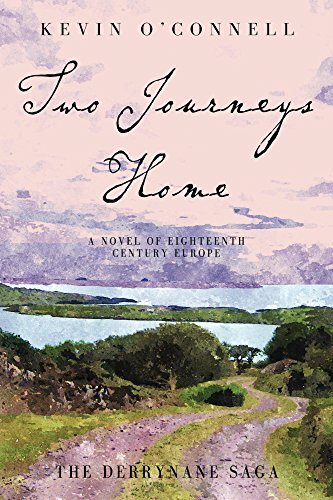 To start things off, please tell us about Two Journeys Home: A Novel of Eighteenth Century Europe. Two Journeys Home is the second of what appears will be a series of four, or perhaps even five, works of historical fiction, which will together comprise what’s become The Derrynane Saga. The story is based on what little is historically documented about several members of the O’Connell family of Derrynane, in far southwest County Kerry, Ireland. As it relates their largely-fictional lives from 1760 until the mid-1790’s, set in Ireland, Vienna and France, this provides a time-line for each book and the Saga as a whole. The period covered in Two Journeys is Spring, 1767 until mid-Summer 1770 – which proves to be a highly-eventful, albeit relatively-brief span of time, in which several of the O’Connells’ lives are changed forever, amidst a melange of romance, intrigue, betrayal, violence and conflict within and without the clan. In some parallels, one or two other major characters’ lives are similarly altered. ‘Tis not impertinent at all – it’s a great question! I believe it is accurate to say that, without being aware of the fact, I seemingly had the story within me for much of my life. Having heard any number of “O’Connell tales” since childhood, I ultimately studied both the O’Connells and the Eighteenth Century in Europe in quite some detail, in the process subconsciously tucking away many wee snippets of what has become this story – a mix, as are all Irish stories, of fact and fancy. The writing itself began just about six years ago this Winter, as a bit of a lark. I must admit that writing was not something I’d dreamt about or deferred all of my life. When I did start – with a gossamer-thin story line, and no experience in writing fiction – or anything else, other than incredibly-dull, complex legal opinions and massive legal transactional documents, the stories literally – and surprisingly – “poured out of me”. I was somewhat heartened relatively early-on in the process by a small article written by Hilary Mantel which appeared, in of all places, the Wall Street Journal, which was entitled The Art of Making the Dead Speak; as I read it and critiqued what my characters were saying and how they spoke, I felt that I actually might have some knack for this! During the course of writing both books, I’ve frequently had a sense of almost watching things unfold, “hearing” what was being said, following the characters rather than creating them and what appears on the pages. I’ve come to learn that this is a phenomenon experienced by some writers. Whatever it may be . . . it continues to be an incredible wonder. There were certain immutable historical facts about the O’Connells that I knew, and which I’ve used as “mile-markers’ within the story – these facts were few, minute even – footnotes in history, actually – so there are huge gaps in time that needed to be provided for, and it is here that my imagination kicked in and from whence the story emerged. Without giving too much away, what can you tell us about Eileen O'Connell? What kind of person is she? Ah, Eileen! I grew up hearing of her, referred to at times as “Auntie Eileen,” and I’ve always felt some type of a numinous, mystical connection with her. I know her, at least the Eileen who strides elegantly across these pages, better than anyone for she is in many, albeit not all ways, a product of my imagination. At this stage of her life, virtually all that is known for certain, as she is historically referred to, in Irish, as “Eibhlin Dubh” – which in English translates as her being “Dark Eileen” or, perhaps more poetically, “Eileen of the Raven Locks”, is that she had black hair. In developing her character, I have used this as a distinguishing feature – one that sets her apart, even from her own family, as the O’Connells of the period whose appearance we do know were largely fair-haired. In the books, Eileen’s hair is a thick blue-black mane that cascades to her waist. So unique is it and such is the personality that I have created for her (based on a single written reference that she was apparently a “headstrong” young girl), in a time when “ladies at court” wore their hair fashionably-dressed and, at least in part, covered, Eileen does neither. By the time Two Journeys begins, after having been wed (in an arranged marriage solely for the benefit of the O’Connells and their smuggling activities) and widowed before her seventeenth birthday, she has been at the Hapsburg court for almost six years. There, she is amongst its best-recognised members, serving as governess, teacher, riding-mistress and companion to two of Maria Theresa’s daughters, with the younger of whom, the Archduchess Maria Antonia, she has developed an intimate, maternal relationship. Not too far into Two Journeys, Eileen will make a life-changing decision, about which I shall say no more! Eileen is not the only member of her family in the Habsburg Court. Can you tell us a bit about Abigail? She is several years older – and several inches shorter – than Eileen, more than just pretty, she has, soft curly reddish-blond hair, lying just past her shoulders. Her sky-blue eyes sparkle, a smile or the warmest of laughs seems always close to the surface and her complexion glows, with cascades of faint freckles over her nose and down her cheeks, her manner is perhaps best described as being “elegantly casual”. way that Maria Theresa could only laugh and answer — “No, darling, there are those people amongst us whose tasks specifically include the removal of such ‘pots’”. Despite a subtle comedic aura about her, during the rest of the first book Abby matures rapidly and settles into a “career path” that had been set out for her even before she arrived in Vienna; she also weds Denis O’Sullivan, a young Irish (a Kerryman she’d met whilst still at home) officer in the Hungarian Hussars, in a magnificent ceremony staged for her by Maria Theresa. By the time Two Journeys Home picks up her story, far from being overshadowed by her more colourful younger sister Abigail has risen to what many consider to be the highest post at court: principal lady-in-waiting to the Empress Maria Theresa; as head of her household and “gatekeeper,” Abigail is the servant closest to the most powerful woman in the world. She is a beloved – and commanding – figure at court, who is still able to make people – including readers - laugh. She is also Eileen’s anchor, her constant, who provides her younger sister with invaluable degrees of wisdom and insight. Hugh O’Connell, Eileen and Abigail’s younger brother also appears in the novel. What can you tell us about him and the Irish Brigade? Hugh was first introduced as a little boy in Beyond Derrynane, youngest of the 22 children born at Derrynane to Donál Mór and Maire ni Dhuibh, during the course of their long marriage, some 16 of whom survive. Virtually from the time of his birth until she departed home as a teenage bride in 1760, Eileen mothered him; the two have remained close. Like most of his siblings, Hugh is tall, fair, dirty-blonde and blue-eyed. Like his older sister, he is an excellent rider and is also said to be brilliant, an avid reader, multi-lingual and confident. He has an easy-going manner and, at least when he first arrives in Vienna, a somewhat wide-eyed, guileless view of the world. When Hugh reappears in Two Journeys Home he as at that juncture in the life of a younger son in a still somehow-landed native Irish family – of deciding whether to go to Continental Europe for a more formal education (the O’Connells having been taught from an early age by “a succession of it always-seemed handsome young Jesuit priests” who had been smuggled into Derrynane by their father for this purpose) and/or to enter the military service of one of the Catholic monarchs. As the on-going story is related in the Derrynane books, for several centuries there had been any number of Irish Catholic officers and other-ranks in service to Catholic monarchs from Russia to Spain. Eileen, Abby and Hugh’s uncle, Moritz O’Connell, a general in the Imperial Austrian army, a count (wed to the Empress’s former lady-in-waiting) and a counsellor to Maria Theresa, is far from being the highest ranking Irish officer in Vienna. In terms of the Irish Brigade, briefly, its history really begins with James II’s vanguishment by the forces of William of Orange at the Battle of the Boyne in 1689 and the subsequent defeat of General Patrick Sarsfield at Limerick in 1691, the latter of which that resulted in what has become known as the “flight of the Wild Geese”. This term is applied to the soldiers who, having been loyal to James’s cause, were permitted to leave Ireland as a relatively-intact, albeit defeated army, to follow the Stuarts into permanent exile in France – this led to the formation of the famed “Irish Brigade of France”, which plays an increasingly-important role in Two Journeys Home and even more so as the Saga continues, as Hugh will follow his older brother, Daniel Charles, into the service of King Louis XV. Hugh’s career will be as an officer in Dillons Regiment of the Brigade, whilst Daniel Charles, who began his French service with the Swedish Brigade, will spend some time in Lord Clare’s Regiment of the Irish one, he will go on to become an ennobled general and live long enough to be imprisoned by Napoleon. Ah, but I digress . . . Authors are often forced to make sacrifices when composing their stories. Is there a character or concept you wish you could have spent more time on while writing Two Journeys Home? I have been extremely fortunate to have the most wonderful editor an author could possibly want! Randy Ladenheim-Gil is nothing short of remarkable, as she has guided, nudged, pushed, pulled and carried me through the creative process, employing a not-always-subtle mix of wisdom, humour, patience and great kindness. It is because of her that I can say that I’ve not had to toss away any character or major concept whilst writing Two Journeys or its predecessor. She has always managed to assist me in salvaging worthy ideas – even well-written but misplaced language which, absent her skill, might have fallen victim to the “delete” button. In much the same way, she has prevented me from making potentially-damaging creative errors, one lengthy scene between Eileen and Maria Antonia comes to mind - it would have negatively-impacted the entire story had she not caught it. If you could sit down and talk with one of the characters in Two Journeys Home, maybe meet and discuss things over drinks, who would you invite and why? My choice of a companion for good German beer and conversation would be Colonel Wolfgang von Klaus, of the Imperial Austrian Army. Von Klaus, a member of one of Austria’s oldest and most prominent noble families, first appeared in Beyond Derrynane during the Winter of 1764, and became Eileen’s lover and companion. Their relationship goes well beyond the bedroom, as the two share a love of books and reading, and horses. Over time they became each other’s closest confident, Eileen learning from von Klaus the intricacies of European politics, “as tawdry as they are magnificent”, such that as her knowledge expands he comes to rely on her insights and thoughts in his role as counsellor to the Emperor Joseph. Von Klaus continues his intermittent appearances in Derrynane until he departs rather abruptly for the court of Catherine the Great at St Petersburg, as a direct emissary of the Emperor and his co-reigning mother, Maria Theresa. He reappears briefly several times in Two Journeys Home and will make a significant return to the Saga in the third volume. Von Klaus is an engaging character, tall, blonde, bluff, handsome and unassuming despite his vast wealth and lofty social and military stature. I would be interested to learn his “take” on the Habsburgs, especially the Empress, as well as Eileen and the other O’Connells at court, and also of the expatriate Irish overall serving in Catholic Europe, his views on the European political and social landscape, his experience at the court of Catherine the Great – and how he really feels about Eileen O’Connell. If you could pick a fantasy cast to play the leads in a screen adaptation of Two Journeys Home, who would you hire? What do you hope readers take from their experience of Two Journeys Home? I should hope that they take away an understanding of the unique history of the period and places as presented in the book, as well as a curiosity to perhaps learn more about at least some aspects of it all. I have included a fairly detailed bibliographical essay in both books as there is a fair amount of excellent non-fiction available; I hope more than a few readers will have been intrigued enough by this fictional introduction to want to read more. In all honesty, I also hope the experience the readers have had with Two Journeys Home might make them want to read Beyond Derrynane, as well as the books to come! Kevin O'Connell is a native of New York City, the descendant of a young officer of what had—from 1690 to 1792—been the Irish Brigade of the French army, believed to have arrived in French Canada following the execution of Queen Marie Antoinette in October of 1793. At least one grandson subsequently returned to Ireland and Mr. O'Connell's own grandparents came to New York in the early twentieth century. He holds both Irish and American citizenship. He is a graduate of Don Bosco Preparatory School, Ramsey, New Jersey; Providence College and Georgetown University Law Centre. 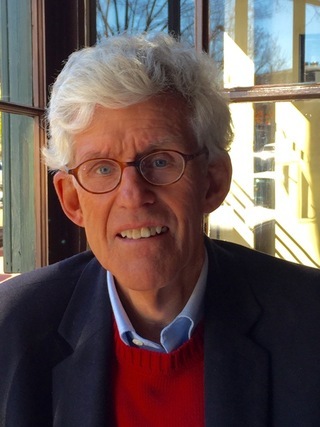 For much of his four decades-plus long legal career, O'Connell practiced international business transactional law, primarily involving direct-investment matters, throughout Asia (principally China), Europe, and the Middle East. Mr. O’Connell has been a serious student of Eighteenth Century Europe, especially of Ireland and France, for much of his life; one significant aspect of this has been a continuing scholarly as well as personal interest in the extended O’Connell family of Derrynane, many even distant and long-ago members of which, especially the characters about whom he writes, he has “known” intimately since childhood. The father of five children and grandfather of ten, he and his wife, Laurette, live with their golden retriever, Katie, near Annapolis, Maryland, USA.